› Around The Beach House › Tips and Tricks › Make Your Home Smell Like Williams-Sonoma! 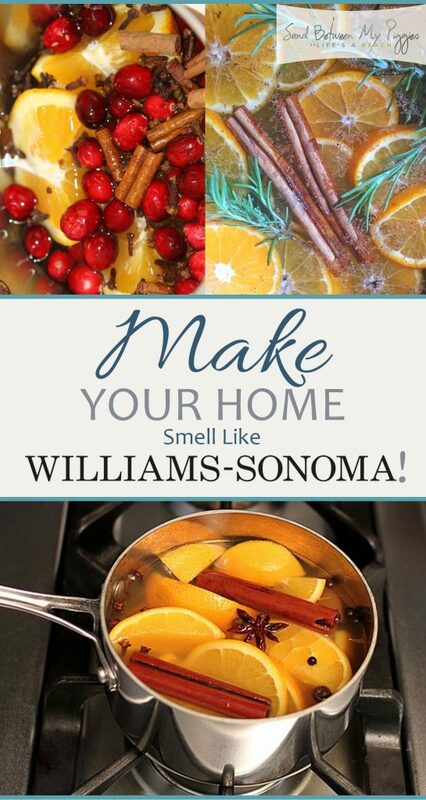 Make Your Home Smell Like Williams-Sonoma! Now, I KNOW I can’t be the only one who loves shopping at Williams Sonoma, but loves it even more because the store just always smells so dang good. 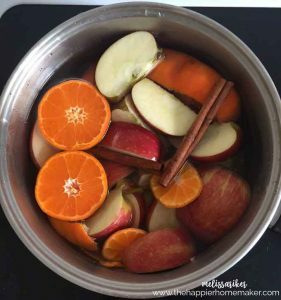 If you share my same love of the scents, keep reading for a few of my favorite DIY potpourri recipes. They’ll make your home smell seriously incredible, and (almost…) like Williams Sonoma! 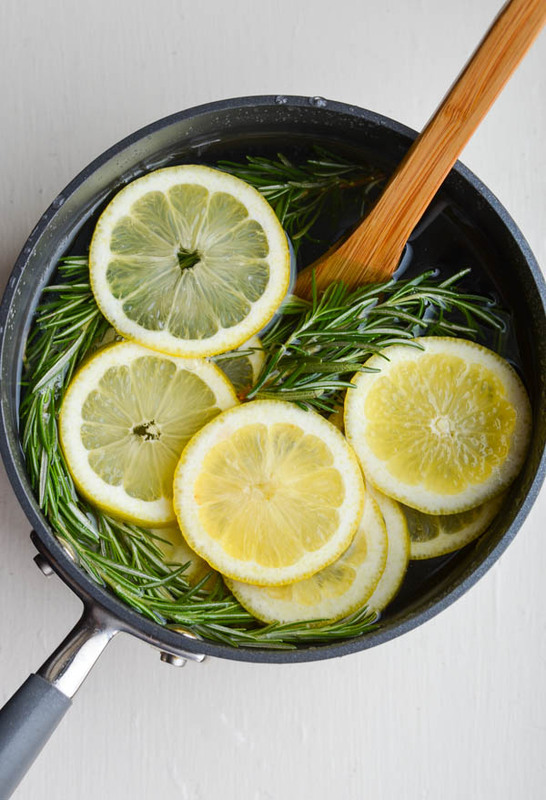 You’ll need 2 lemons (sliced), 1 tablespoon of vanilla extract, 2 sprigs of rosemary, and a pot full of boiling water. Combine ingredients in the pot of boiling water, and simmer on low for hours of enjoyment. 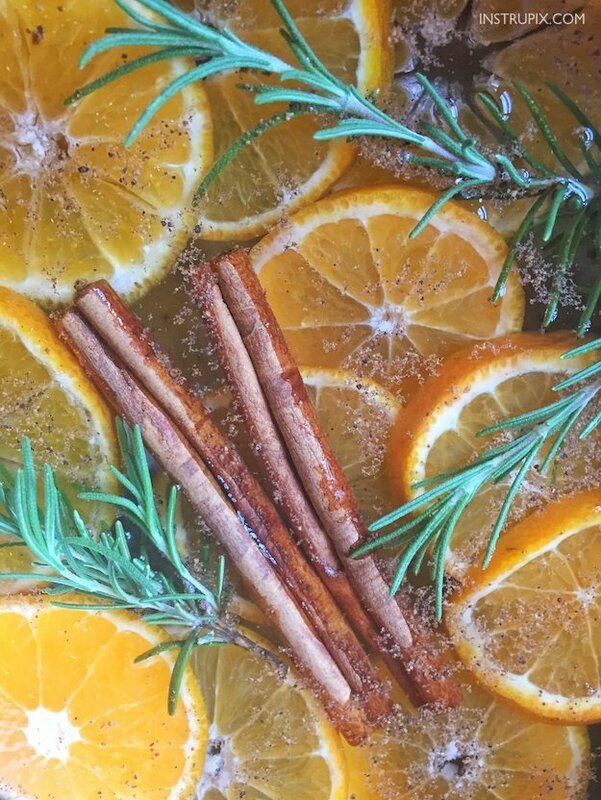 Three sliced oranges, two sticks of cinnamon, and four branches of Rosemary is all you’ll need to make your home smell incredible. 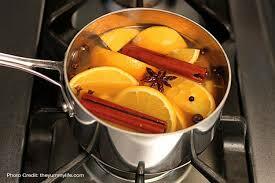 Add ingredients to a small pot filled with 3/4 a cup of water and simmer for all day scent! **Hint: I learned from the article above that you can actually save your potpourri and use it for days at a time! When you’re done heating your recipe on the stove, pour out the water and place the oranges, cinnamon, and rosemary in a container. Place in the refrigerator. This will keep for multiple days after the first use! All great potpourri recipes begin with the slicing of a citrus fruit! In this recipe, you’ll use one sliced orange, a 2 inch piece of fresh ginger, and a couple drops of almond extract. Alternatively, you can use cinnamon sticks (in place of Ginger) and Star Anise instead of almond extract. Either scent will leave guests wondering how your home smells so fantastic! 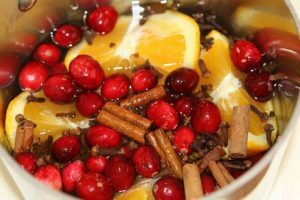 Prepare for the holidays with a deliciously scented potpourri recipe that is SURE to get you in the mood. 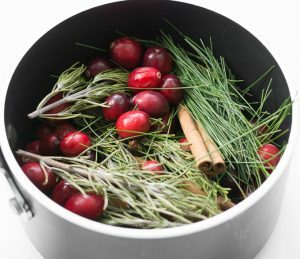 Fresh cranberries, cloves, cinnamon sticks, oranges, nutmeg, and water work together to create a holiday scent that’s sure to leave Williams Sonoma shoppers jealous. You’ll need a few more ingredients to make your home smell like it’s fresh out of the North Pole! But it’s nothing too serious; whole cloves, fresh rosemary, cinnamon sticks, pine needles, cranberries, nutmeg, star ansie, orange peels, and vanilla extract. Throw all of this on a pot full of boiling water. This is certain to get you into the holiday spirit! Itching for spring in the middle of winter? You aren’t alone! Oranges, sliced apples, and a few secret ingredients are sure to brighten (and liven!) up your living space. You can whip up this scent in almost no time at all! 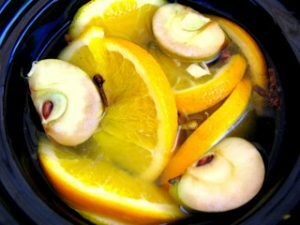 Make your own simmer pot with three apples, six oranges, cinnamon, and nutmeg. Do you remember what I said about citrus being the lifeblood of potpourri? It’s only the most true!